Valentin A. Pavlov, PhD, is a professor at the Feinstein Institutes for Medical Research. He is also professor at the Donald and Barbara Zucker School of Medicine at Hofstra/Northwell. Dr Pavlov did his undergraduate work at the University of Sofia “St Kliment Ohridski” in Sofia, Bulgaria. He received his PhD in Physiology, Pathophysiology and Pharmacology from the same university in 1994, working on the metabolism of polyamines. Dr Pavlov was awarded a Royal Society and NATO postdoctoral fellowship in 1999, to work on the anticancer properties of novel polyamine analogues at the School of Life Sciences, The Robert Gordon University, Aberdeen, Scotland (UK). In 2002, Dr. Pavlov joined the research group of Dr. Kevin Tracey at the Feinstein Institutes for Medical Research and began his studies on the neural regulation of immunity and inflammation and the therapeutic implications of this regulation. Dr. Pavlov has published over 80 peer-reviewed papers and book chapters and has been a co-inventor of two patents and two patent applications. He has been a symposium organizer and an invited speaker at major scientific forums in the US, Europe, South America and Japan, including North American Neuromodulation Society Meeting, BioScience, Digestive Disease Week, FASEB Research Conferences, European Shock Society Congress, International Society for Autonomic Neuroscience Meeting, and World Congress of the International Union of Physiological Sciences. Dr. Pavlov is a member of European Association for Cancer Research, American Shock Society, Society for Neuroscience, International Brain Research Organization, American Association of Immunologists, and is on the executive committee of the International Society for Autonomic Neuroscience. He is on the editorial board of Frontiers in Immunology (Inflammation) and Journal of Neuroinflammation, and serves as executive editor of Bioelectronic Medicine and Molecular Medicine. 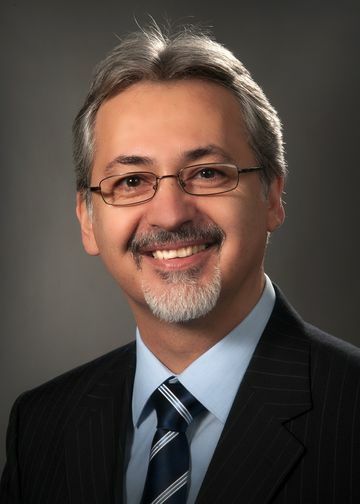 Dr. Pavlov has also served as a grant reviewer for NIH, Biotechnology and Biological Sciences Research Council (UK), Association for International Cancer Research, The Broad Foundation, Dutch Digestive Foundation, Neurological Foundation of New Zealand, Canada Research Chairs Program, and French National Research Agency. Dr Pavlov’s research focuses on the role of the nervous system in the regulation of inflammation. Inflammation is a normal and important response to infection and injury. Inflammation is localized and temporary and upon its resolution, immune and physiological homeostasis is restored. However, disrupted immune regulation can result in excessive or chronic inflammation with deleterious consequences. This state underlies the pathogenesis of sepsis, rheumatoid arthritis, inflammatory bowel disease and other inflammatory and autoimmune disorders. Understanding endogenous mechanisms that regulate immune function and inflammation is critical for the development of novel therapeutic strategies to prevent or neutralize excessive inflammatory responses. Studies led by Kevin Tracey at the Feinstein Institutes have revealed that bidirectional communication between the immune system and the brain is vital for controlling inflammation. The vagus nerve and peripheral, alpha7 nicotinic receptor-mediated signaling play an important role in this communication and are key components of a physiological mechanism – the inflammatory reflex. Dr Pavlov’s research has led to the discovery that brain cholinergic signaling plays an important role in the neural control of immune function and inflammation. This brain regulation is functionally associated with the inflammatory reflex and can be activated by cholinergic compounds such as galantamine and other centrally-acting acetylcholinesterase inhibitors. Some of these compounds are clinically approved for the treatment of Alzheimer’s disease. This is important because previous clinical experience and knowledge about the safety profile of these compounds would facilitate “repurposing” of these drugs for the treatment of inflammatory conditions. The chronic inflammatory state in obesity and the metabolic syndrome is causally linked with insulin resistance and the epidemic of type 2 diabetes mellitus and cardiovascular disease. Dr Pavlov’s work has revealed that the acetylcholinesterase inhibitor galantamine alleviates inflammation, insulin resistance and fatty liver disease in a preclinical model of diet-induced obesity and the metabolic syndrome. A recent placebo-controlled clinical trial performed via an international collaboration between The Feinstein Institutes and the University of Sao Paulo, Brazil, led by Dr Pavlov and Dr Fernanda Consolim-Colombo demonstrated the efficacy of galantamine in alleviating inflammation and insulin resistance in patients with the metabolic syndrome. Dr Pavlov’s current NIH funded research uses state-of-the-art methodology to provide insights into the role of the brain and the vagus nerve in the regulation of immune and metabolic responses in preclinical models of sepsis. This research also explores possibilities of direct modulation of brain neurocircuits for therapeutic benefit in preclinical settings of inflammatory conditions. In addition to pharmacological interventions, current findings indicate that these circuits can be achieved using device-generated neuromodulation, thus suggesting new therapeutic approaches in Bioelectronic Medicine. Collaboration is critically important in performing interdisciplinary research with the goal to translate preclinical research findings in treatments of diseases. Dr. Pavlov has had the privilege to collaborate with Kevin Tracey and members of Tracey’s lab, Yousef Al-Abed, Peter Davies, Betty Diamond, Christine Metz, Kaie Ojamaa, Ed Miller, Marc Symons, Clifford Deutschman, Ping Wang, Meggan Mackay, Martin Lesser, Jesse Roth, and many other fine scientists in and outside the Feinstein Institutes.